A guide and reference for the use of natural measures in the maintenance of good health and the prevention and treatment of disease. The text explains the principles of natural medicine and outlines application through safe and effective use of herbs, vitamins, minerals, diet and supplements. The Encyclopaedia of Natural Medicine is the most comprehensive guide and reference to the use of natural measures in the maintenance of good health and the prevention and treatment of disease. 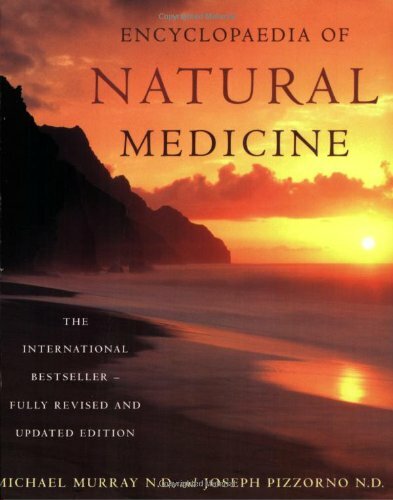 It explains the principles of natural medicine and outlines their application through the safe and effective use of herbs, vitamins, minerals, diet and nutritional supplements, and covers an extensive range of health conditions, from asthma to depression, from psoriasis to candidasis, from diabetes to the common cold. Drawing on the centuries-old wisdom of the healing powers of nature, and supported with scientific investigation, the Encyclopaedia is the ultimate guide to a natural, healthy lifestyle.